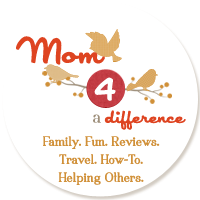 Mom 4 a Difference: Join MyPoints.com to earn gift cards and cash! Join MyPoints.com to earn gift cards and cash! I've been involved Mypoints.com for at least five years now and I can honestly say it has been a great experience. And it's simple to earn rewards too. All you have to do is sign up for a free account then earn points that you can redeem for gift cards to major retailers like Amazon, Bath and Body Works, Kohl's. Target, WalMart and many more. They also have rewards to chain restaurants and movie theaters. Not impressed by gift cards? That's ok - 4,550 points will get you $25 in cash deposited directly into your PayPal account - 8,990 points will get you $50! Keep in mind that the amount of points needed to redeem a reward and the vendors who participate on the site can change at anytime. Several $25 gift cards to Regal Cinemas. Online shopping with participating merchants (each merchant offers a different amount of points per dollar spent.) For example, Kohl's Department store awards 2 points for every dollar you spend so if your bill comes to $50 you'll earn 100 points! Reading Emails - emails will be sent on a daily basis about items of interest to you (you'll tell them this info when you sign up) You'll get 5 points for each email. I receive about three or four emails a day. Playing Games - amount of points award varies. Taking surveys and quick polls - again, the amount of points varies. Quick polls are the easiest and can be found on the mypoints.com webpage. Searching the web - Get up to 75 points per month depending on the number of searches you perform. Earn an additional 100 points (one time) for downloading the mypoints.com toolbar. Print Coupons - Earn 10 points for each coupon you print and use and 25 additional points for every 10 coupons you use. Refer-A-Friend- Earn 25 points for each person who signs up, you'll get 10% of their eligible points, and once they make a $20 purchase through the site, you'll both get 750 points. If you are interested in signing up, please leave a comment under this post. I'd love to earn points if you join. 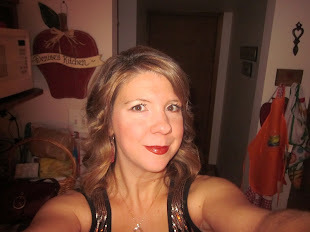 I will need your email address to send you an invite through the Mypoints.com website. If you aren't comfortable posting your email you can also contact me directly at couponing4adifference@yahoo.com And you can do the same with your friends once you sign up! It's a win-win situation. I am shooting for another $25 dollars in my PayPal account and remember, $12.50 of it will go to the Food Bank of South Jersey to help those in need.